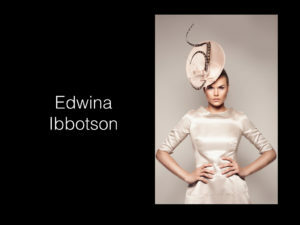 Edwina Ibbotson, Rachel Trevor Morgan and Noel Stewart share their journey into millinery. 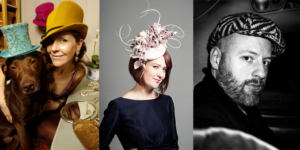 This is part 1 of a series of podcasts from Milliner’s Question Time at London Hat Week 2015. For one milliner it was a direct path for another there were many turns along the way. 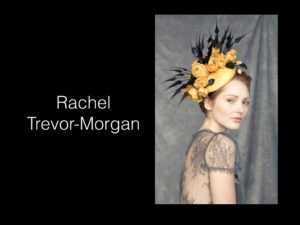 Listen to Noel Stewart, Rachel Trevor-Morgan and Edwina Ibbotson talk about their journey’s into Millinery. This interview I moderated was recorded live before an audience at McLaren Hall during London Hat Week 2015. I will be releasing the recordings in several 20 minute podcasts. 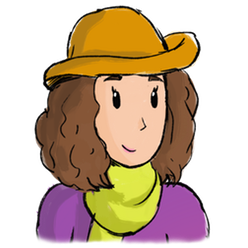 Please sign up for the Hattin’ Around Newsletter to find out when the next episode of Milliner’s Question Time 2015 interview has been posted. Please enjoy getting to know three amazing people and clever London Milliners. 04:12 Leanne askes about their journey into millinery with Roses & Thorns. 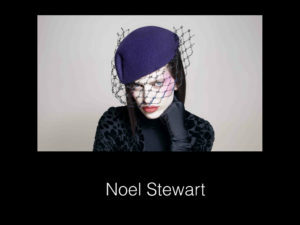 05:16 Noel Stewart shares his journey in millinery. 08:26 Rachel Trevor Morgan shares her journey. 12:23 Edwina Ibbotson shares her journey. 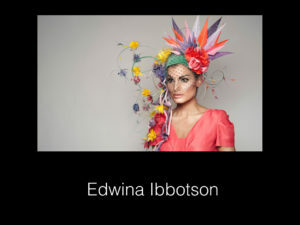 Edwina’s designs are couture millinery at its best. Her designs are flirtatious, timeless, romantic with a slight vintage feel and constructed to perfection. 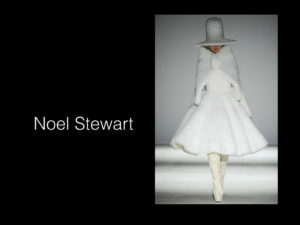 Noel’s inspiration comes from contemporary art and architecture. Whilst using his extensive skills, he modernizes millinery. Has a husband and three children. Rachel is renowned for her beautiful handwork and design. Resulting in a glamorous feminine elegance. Wrote to 10 hat companies in West 1 (London), must be good. Marie teaching Carole Denford (The Hat Magazine) there at the same time. Rachel was very sweet and would let Roland, Edwina, and Andrew use her workroom for a few months. Work experience in Paris – Knocked on Marie Mercie’s door. They glued everything – not impressed but they did good work on the 17 guinea machine. Two different lives – ladies who could afford expensive hats. Thorn – ratio of home life & work life. Thank you to Noel Stewart, Rachel Trevor Morgan and Edwina Ibbotson as well as Becky Weaver from HATalk, Georgina Abbott from Atelier Millinery, and Owen Morse Brown of Guy Morse Brown for their help in coordinating the venue, ticket sales, and audio recording.